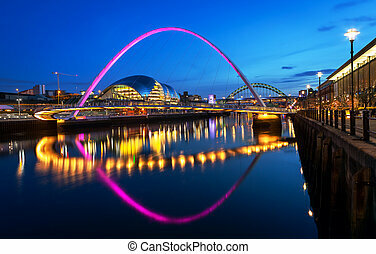 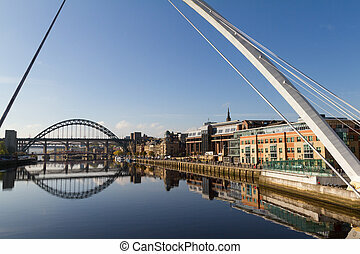 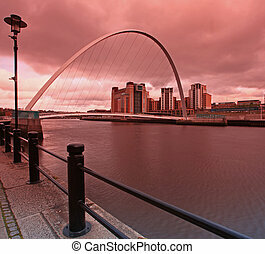 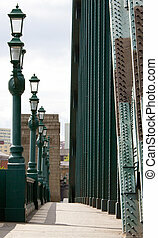 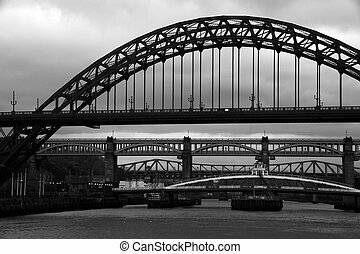 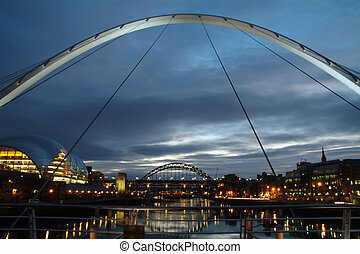 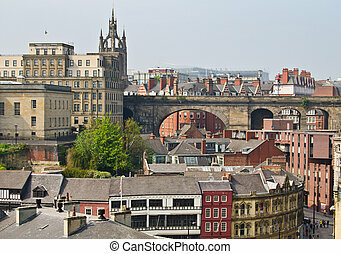 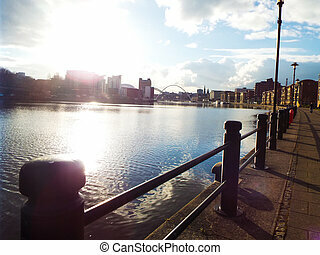 Newcastle bridges. 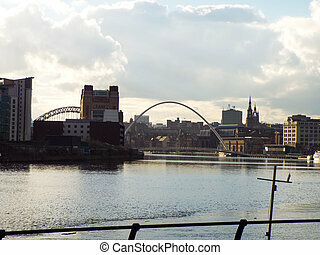 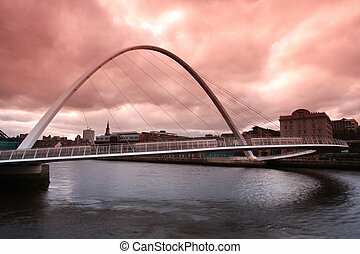 Telephoto view of newcastle/gateshead bridges overlaid with red/orange color for effect. 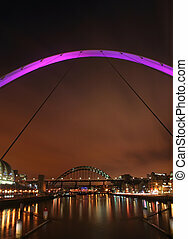 Telephoto view of Newcastle/Gateshead bridges overlaid with red/orange color for effect. 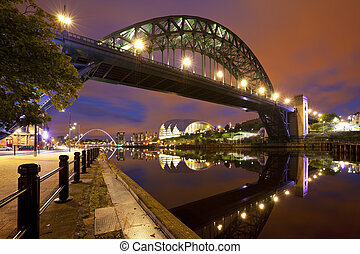 The Tyne Bridge over the river Tyne in Newcastle, England at night. 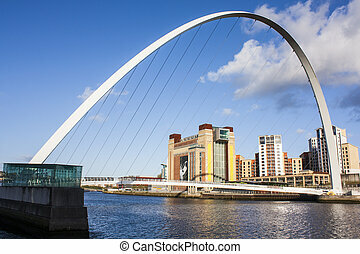 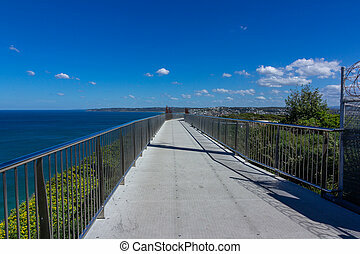 Modern bridge on river in newcastle.